Did you know that Onyx has a distributor in Finland? They're called Elisa, and they're selling the 3G model. Sorry, but I don't have more detail (Google Translate is broken). In other news, the large screen model has been delayed due to development problems, so they've redoubled their focus on improving the Boox 60, their 6" ereader. Oh, yeah, they brought this prototype with them. 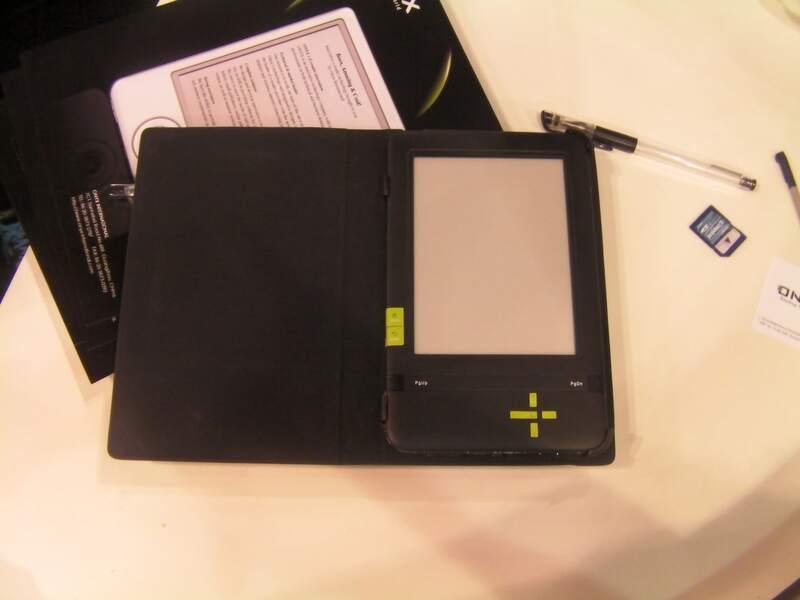 This model was developed at the same time as the Boox 60, but it didn't go into production. It was one of the designs they tested, but set aside because the Boox 60 worked better. If you like it, they can make it for you.